What if you could eliminate the middleman when selling your business so that you take home all the value you can get? Many people who have sold business have had to part with a large chunk of cash when the sale is concluded: the middleman, the agent who finds a buyer, will demand a certain percentage as a means of payment. For Sale By Owner websites allow you to eliminate him. You are more involved in the sale of your business, but you will get a buyer faster and you will take all the cash home with you. They are designed to give you the maximum exposure. Once you find one that you think will do the job for you, you should register and become a member. You are faced with different pricing packages. The differences in pricing are determined by how long you want to list for. The shorter durations will ask for less but you have to pay again if by the time the listing period is over you donâ€™t have a buyer. Larger amounts will buy you listings until your business is sold without ever having to pay a dime more. After you have selected a package, you go ahead and list your business. This includes a thorough description of the business as well as the relevant documentation. You should also include photos to show what your premises look like and the kind of equipment that you have. The more information that you have on the listing, the better. Make sure though that you don't display information that can be used by your competitors and the person who eventually buys your business will have a hard time. Your listing is then circulated to all the top websites in the country that attract people who are looking to buy business. In a short while, many more people will be able to see your business. Because the websites are created to attract targeted traffic, the people who will be looking at your website are serious prospects and this is what makes using FSFL websites a lot faster than any other way of selling a business. A prospect comes through and you can then get into the negotiations with them. 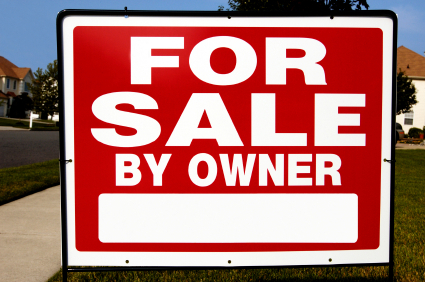 You will get a quicker sale if you make a fair demand for selling price. You should have an expert value the business so that you avoid long negotiations. Get all the necessary documentation ready. This includes your profit and loss books, your balance sheets, your stock position and any other documents that show the health of a business. Get a professional accountant to go back 2 financial years and collect all the necessary paperwork. Create a transition plan for the new owner. It helps them understand things faster and get the business going. Be detailed and explain even the little things. Let your employees know that they will be having a new owner. The earlier they know, the better. Get the new owner to meet them. Work to remove any anxiety they may have. FSFL websites will work for you only if you have all the necessary information that a prospect needs to make a decision about your business so be prepared. To get more information on how to sell a business, go ahead and visit this website.